Fairhurst has again been working with the BBC’s DIY SOS. The Bristol Office has provided much needed Civil and Structural engineering services to enable Nick Knowles and his team of experts and volunteers to transform the home of a deserving family from Weston Super Mare, Somerset. It is planned to adapt their home to suit the care needs of the family’s three children, who are challenged by difficult medical conditions which impact on the whole of family life. With the groundwork completed (which included a sewer build over) and the design drawings for the internal alterations in place, the main ‘strip-out’ works and building of a new 2 storey extension started on 19th March 2019. 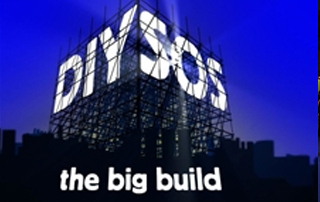 The build will be featured on the BBC One series ‘DIY SOS: The Big Build’, with the broadcast date to be confirmed nearer the time.